Cut dried figs in small pieces. Toast Marcona almonds on a pan for a couple of minutes. Place them on a plate to let them cool. Use a mortar and pestle to crush the almonds a bit. 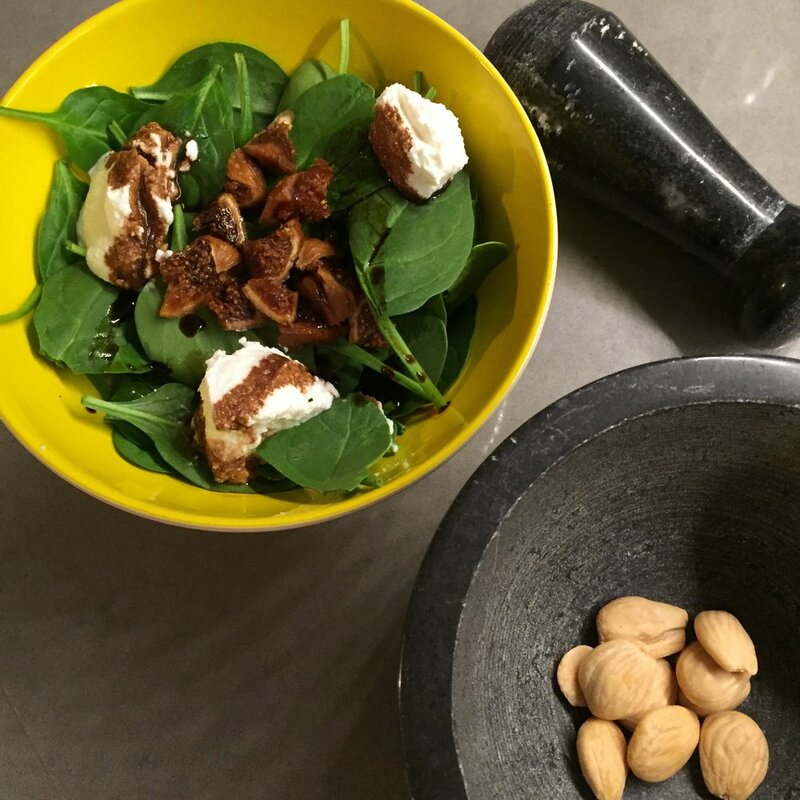 In a bowl, mix spinach, figs, add a bit or Ricotta cheese, olive oil, balsamic vinegar, and sea salt. Once all is mixed, add the toasted Marcona almonds on the top.